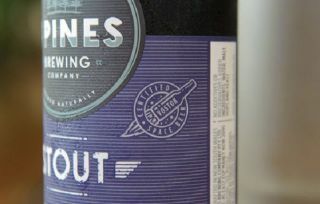 Australia's 4 Pines Brewing Company is selling beer fit for space travel in the form of Vostok Beer, which has been tested in microgravity. NASA may still frown upon knocking back a cold one during spaceflight, but Australians can now sample the world's first beer designed for consumption by high-flying space tourists. The Australian brew, called Vostok "4 Pines Stout" Space Beer, contains both high flavor and low carbonation. Its rich chocolate and caramel flavor aims to remedy a supposed reduction in the sense of taste due to swelling of the tongue in space. Low carbonation means fewer problems with so-called "wet burps" experienced by astronauts or other space travelers. "If you burp in space, it's usually wet because the liquid and gas doesn't separate in your stomach like they do on Earth," said Charles Bourland, a consultant for the NASA Food Technology Commercial Space Center. All taste tests haven't been earthbound. The creators put their product through a taste test run with a microgravity researcher aboard zero-gravity parabolic flights in February. During the flights, the researcher drank six 150-ml samples of beer and was monitored for skin temperature, heart rate and alcohol absorption. The tests proved a success because the researcher did not experience the dreaded wet burps, according to the beer's creators. But Bourland said that the 25-second periods of weightlessness afforded by the zero-gravity flights don't quite match up with spending weeks or months aboard the space station. Still, he acknowledged that the space beer may work well enough for short suborbital trips. More lenient attitudes toward drinking during space tourism trips may help. Bourland recalled once helping fellow NASA food scientists prepare some sherry for launch to the astronauts aboard Skylab, the first U.S. space station. But they canceled the plan after getting letters of complaint from the U.S. Congress and ordinary Americans. NASA also launched an investigation of reports that astronauts had gotten drunk before space shuttle flights in 2007, but found no evidence to back up such tales. Russian cosmonauts have been known to sneak some alcohol aboard the International Space Station due to having friends at the Soyuz launch pad, Bourland said. But they restricted themselves to drinking small strawfuls from their stashed bottles. At the very least, future space tourists may have more choices to toast one another than with recycled urine. Jeremy Hsu is a senior writer for InnovationNewsDaily, a sister site of SPACE.com. You can follow him on Twitter @ScienceHsu, or check out InnovationNewsDaily on Twitter @News_Innovation and on Facebook.